Kurt of Gerolstein: Kurt at the cinema. Mamma mia! It’s odd how the habits of three-score years and ten can get eroded, even if only a little, by circumstance. I have never really taken to the cinema. Somebody accused me (me!) of exaggeration when I said I could probably list every movie I had ever seen. I started the list and it got to be nearly a page long before I renounced. The first, I remember, was Disney’s Snow White at the old Embassy in Courtenay Place, Wellington. I screamed at the evil Queen, and this early, intelligent, reaction to Disney (and evil queens) got me taken home, and put on to a diet of Gilbert and Sullivan. And that was me set on the way I would follow. The cinema just never became a habit. It was live theatre all the way. Not a conscious decision. Just the way things turned out. I hadn’t been there for quite a while, before today. When School Holidays are on, and our little town is busy, the diet is usually Exterminators 12 and Transformers 17, Inglorious Whatsits and other such examples of American ‘art’. But, in this month, ‘out of season’, things sometimes get better. I have, in this season in the past, seen a nice My Cousin Rachel and the harmless Florence Foster Jenkins, under favourable conditions. Well, this month Paulie is here. And he does love the cinema. So we had a look to see if there was anything palatable playing. Answer: the pre-quel to Mamma Mia. 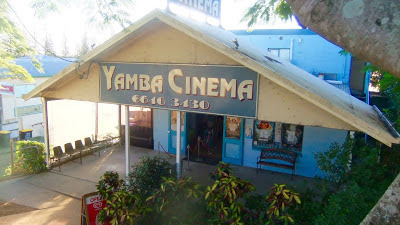 Well, I had found the first film less than overwhelming, but several (female) facebook friends had clearly found this one super-endearing, and you can’t actually get ill on an overdose of those old Abba tunes, so off we set. $9 each (no senior’s discount!) plus a punnet of popcorn for Paulie and in we went. Why is the sound so LOUD!? I know P was the youngest in the tiny audience by some years but VOLUME doesn’t solve anything. Couple of ads, couple of nice trailers (a film with Eileen Atkins and 3 other Dames, a long one called The Bookshop), and into the – still too loud --offering of the afternoon. It was a perfectly pleasant two hours of agreeable entertainment. I, actually, enjoyed it considerably more than the first film. The screenplay was skilful, well-plotted (not always easy in an originally unplanned prequel) and written in pleasing language, the characters were great fun (the Greek mama was a winner! ), the music was jolly and lively without being aggressive, and for those who recognized the plethora of numbers (I proudly got up to six!) the songs doubtless held more meaning than I found. The scenery was picturesque without being picture-book, and the performances (with a couple of exceptions) joyously natural and real. The casting director had done a valiant job. OK. My favourite among the actors? Number one, Amanda Seyfried as Sophie. Lovely warm, soul-filled acting, a winning singing voice, pretty but not too annoyingly pretty. Just one problem, and that wasn’t her fault. The hair. For the first fifteen minutes I couldn’t tell the difference between her and the lass playing her mother as a girl. I had to ask Paul what was happening. Once I knew, it was fine. Lily James was a firebrand as the girl who somehow grew up to become the rather wispy and tired Donna of Meryl Streep. Vibrant, strong, funny, uninhibited, with a stout singing voice. Maybe just a teensy bit too much so sometimes. And I didn’t care for her makeup. Maybe it was ‘period’, but Sophie looked much nicer. But if I had been any of her three bedmates, I’d have fallen too. After giving her a good facial scrub. The three bedmates, Sophie’s potential fathers, are here cast in double. Then and now. 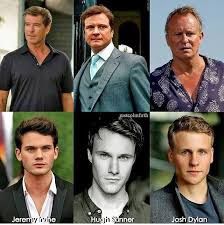 Well, the nows include two – Colin Firth and Pierce Brosnan – from my era, but the triumph was the casting of the young men from ‘then’. All three were grand, but Josh Dylan, as the boy with the boat, won me! Why on earth was he not billed? Equally, the casting of the Friends of Donna, who were to grow up to become Christine Baranski and Julie Walters: Jessica Keenan Wynn (with wig) was an inspired choice as the young Baranski, and both Paul and I fell head over for Alexa Davies, even though she could never have grown up to be as common as Julie Walters. I first saw Ms Walters on stage several decades ago and found her an effortful clown. In the one quiet, thoughtful moment of her role here she was grand. The rest of the time I was afraid she was going to give us a rousing chorus of ‘Don’t Dilly Dally on the Way’. Actually, the accent thing was a bit of a problem. Why do nice English boys suddenly get American (or is it Australian?) ‘a’s when they sing? There was just a little ‘coarse acting’ among some of the supporting cast, though not, that I noticed, among the wonderfully real ensemble, and of course the appearance of great-grandmother Cher in a Myra Breckenridge platinum wig was implanted into the piece solely to give it ‘queen appeal’. But who cares? Her rendition of ‘Fernando’ was the best bit of singing in the opera. I noticed the another my-era name, A van Laast, credited for choreography. Modern? Hardly. Most of it went back wayyyyy before Song and Dance. More Oliver! or Wendy Toye. But dancing was fun then, so once again, why worry? So, add it all together, and I would say this is the best film of Abbamusik up to date. Beautifully written, beautifully produced, beautifully … well, everything. 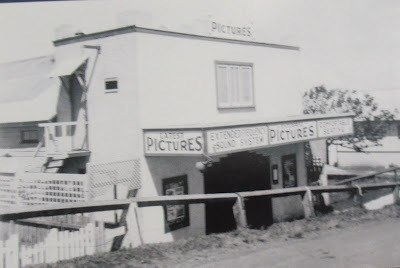 It makes no pretence at being profound or raunchy or ‘modern’ or noisy, it has donkeys instead of car-chases, there’s not a touch of a 21st century ‘ism’ anywhere and, to sum up, the best I can say is that this old fogey, who sighs when the word ‘film’ or ‘cinema’ is mentioned, spent a very jolly time with this ultimate feel-exceptionally-good film. Yes. Even I felt good when I came out of our wee cinema ..
Of course, with the ready-made curtain-call reprise section already installed, this piece is clearly headed for the live theatre. Good luck to them. They deserve it. Nice work, guys and girls.